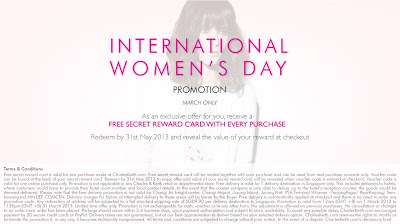 Hello Little Sunshine - Singapore Parenting and Lifestyle Blog: Happy International Women's Day! I just found out that International Women's Day has been celebrated since the early 1900's! Quite amazing isn't it? I think that in Singapore we are definitely very blessed that we have the Women's Charter in Singapore to protect the rights of women. Of course, I also do think that more can be done for us females, and that the society as a whole should also be more open-minded about the way we women are treated and respected. 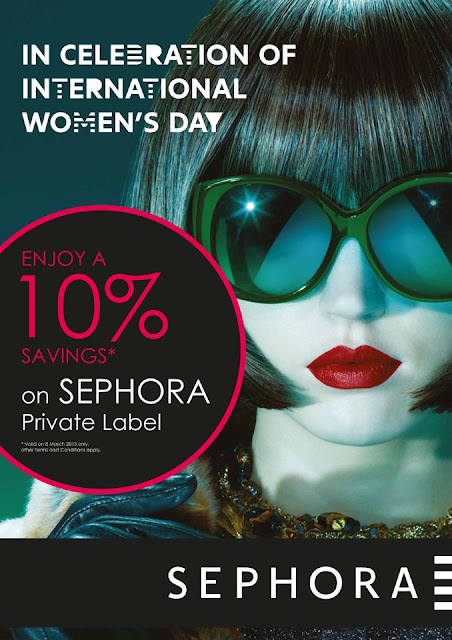 Well enough of all that serious stuff..to celebrate this day, we women should pamper ourselves a little, don't you agree?! 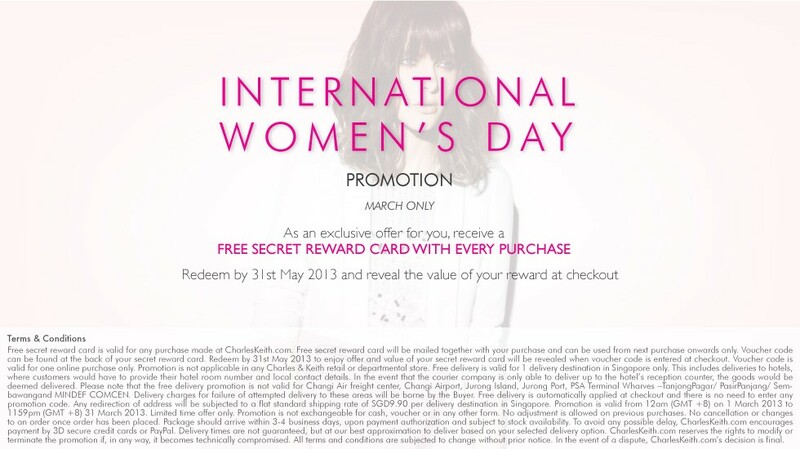 Just to share with you ladies..
Charles and Keith is giving out a free secret reward card with every purchase for the month of March! You can also head on over here to find out what events are happening in Singapore to celebrate this occasion.